Did you know that the Japanese have nicknamed blueberries “the vision fruit” for their ability to preserve eye health? Free radical damage to cells – also called oxidation – is a primary cause of age-related macular degeneration (which leads to blindness and vision loss in individuals over the age of 65), cataracts, and glaucoma. Blueberries counteract this activity with their very high concentrations of anthocyanins, which balance and neutralize free radicals by supplying missing electrons. 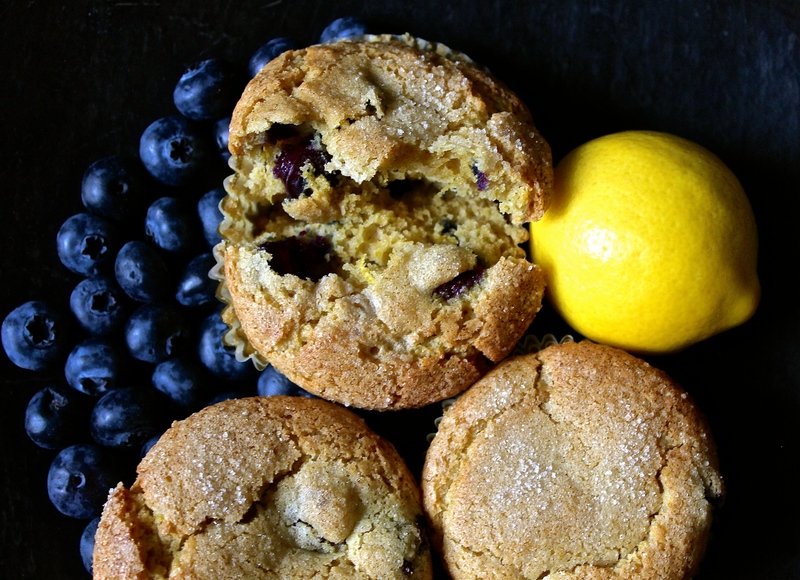 My family’s favorite blueberry muffin recipe is: Cannelle-et-Vanille’s Blueberry, Lemon, and Olive Oil Muffins (gluten-free and dairy-free). When I make a batch of these healthy treats, they never last a day. And I always serve them with fresh blueberries so we get an extra boost of nutrition from the vision fruit. On day 48 of this 365 day project, I ate my daily five (including a spicy southwestern salad that included every color of the rainbow). Did you enjoy yours?